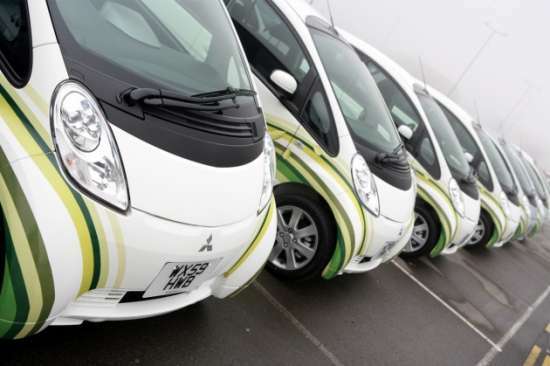 Electric vehicles are more than meeting drivers' daily range requirements and are cheaper to charge than previously thought, suggest results from an ongoing trial in the English West Midlands. Initial indicators from the year-long, 110-car trial, part of the Technology Strategy Board’s £25m Ultra Low Carbon Vehicle Demonstrator programme, suggested that the electric cars were used similarly to their petrol-run cousins and that 'range anxiety' – concern about battery life when undertaking long journeys – had been overblown. These results, published this week and six months into the year-long Coventry and Birmingham Low Emission Demonstrators (CABLED) trial, echo those findings. Drivers are taking longer journeys, but typically use less than 30 per cent of their total charge daily, treating the cars much like mobile phones or laptops by habitually charging the vehicles overnight whether the battery is half full or nearly empty. An average charge time of just under two hours costs between 40p and £1, depending on the tariff, and provides enough power for 20-40 miles of travel, far exceeding the average car journey of seven miles. According to Charles Bradshaw-Smith, head of e-mobility R&D at E.ON, one of 13 trial backers, the usage data will influence the next generation of battery technology, as well as the development of energy infrastructure and smart grid technology. "The most popular time to charge vehicles is overnight, but since most journeys are relatively short, five average-length journeys can be completed on one charge. This is evidence to support the need for intelligent charging technology that will allow EVs to interact with the distribution grid," he said. "The goal is to allow drivers to take advantage of low-cost energy, whilst enabling EVs to both draw and feed into the grid in order to smooth demand peaks and troughs." Project leader Neil Butcher from Arup said the results were encouraging for the mass take up of electric cars. "The phenomenon known as ‘range anxiety’ is falling as drivers become more familiar with their vehicles. The low costs of ‘refuelling’ in relatively short periods of time reinforce this," he said. "While there are technical challenges ahead – extending vehicle range and preparing for increased demands on the national grid – our results show that even current vehicles are more than capable of meeting users’ day-to-day needs."